The Cross of Christ Lutheran Chapel for the Deaf (1962), located in the Northeast corner of Lendrum Place at 11460 - 60 Ave NW is Canada's Oldest Church for the Deaf. Rev. Robert Albert Bauer (born Jan 27, 1930), a long time Lendrum Place resident has been its Pastor since it opened in the early 1960's. 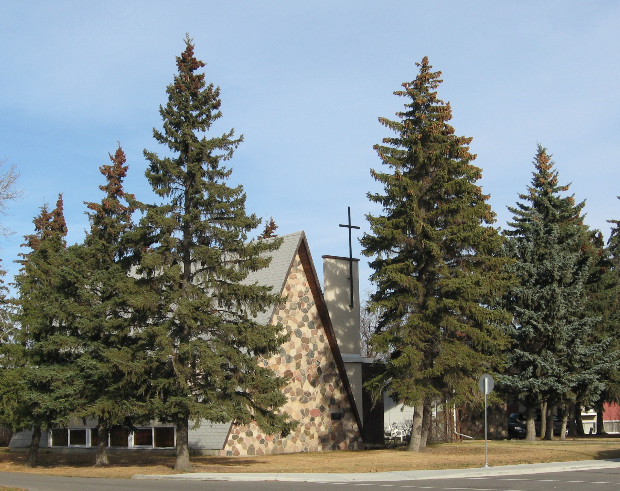 In the spring of 1960, the Edmonton Deaf Congregation purchased the land and on October 15, 1961, the church members held the ground breaking ceremony. On June 17th, 1962, the cornerstone of the new church was laid. 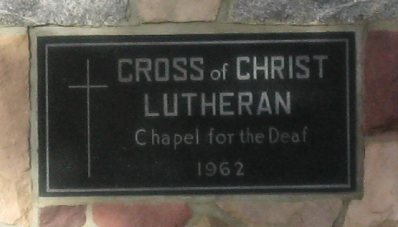 The Cross of Christ Lutheran Chapel for the Deaf was dedicated less than four months later on October 7, 1962. During these early years, the Lendrum Community League was formed and League meetings were initially held at the Chapel long before the Community Hall was ever built. In 1963, the Association for Hearing Handicapped Children was registered as a Society and the preschool began operating out of the Cross of Christ Lutheran Chapel, in space donated by Pastor Bauer. The program is currently known as Early Childhood Services (ECS) and operates out of the Alberta School for the Deaf. During the summer of 1982, the congregation began holding fundraising drives for needed repairs and established a renovation fund. The original builders of the 1962 church were again employed to complete the renovations, which included insulating walls, repainting and redecorating the interior and repairing the roof. 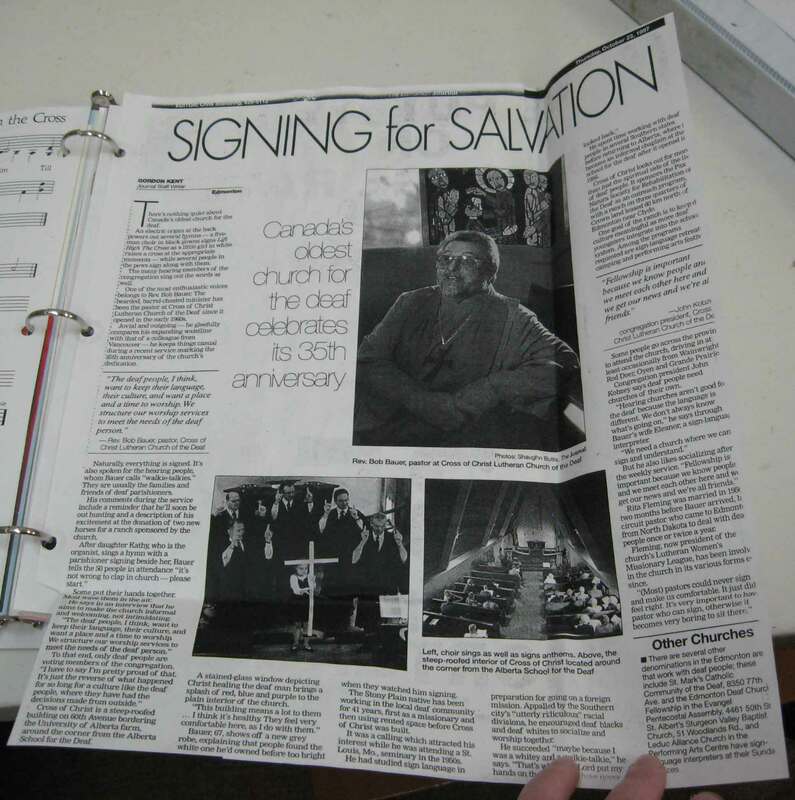 The Edmonton Journal dedicated a full page, on October 23, 1997 to the celebration of the Church's 35th Anniversary, and an additional article for its 40th Anniversary. Thank you to Mrs. Bauer, wife of the semi-retired Pastor Bauer.